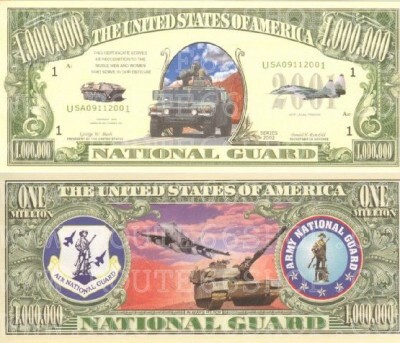 Motiv : National Guard, Air National Guard a Army National Guard. Bank note. Fullcolor doubleside print.